From its delineation in 1937 to the 1980s, the “hyperventilation syndrome” was held responsible for much of the symptomatology of panic disorder4; however, with increased accuracy of measurements, this notion was replaced by the view that autonomic instability underlies both hyperventilation and panic disorder.5 Although there is a clear association between panic and hyperventilation, the neurological basis for this is still unresolved. Hyperventilation or overbreathing is variously defined, according to the measures available and familiar to each scientific discipline. There is agreement that the breathing exercise must ventilate the lungs in excess of metabolic requirements at that particular point in time and thus induce measurable changes, usually a reduction in arterial or alveolar carbon dioxide tension below 35 mm Hg or an induction of central apnoea. Reduction of arterial or alveolar carbon dioxide tension constitutes a biochemical end point of hyperventilation, while induction of central apnoea is a physiological end point. Although different in character, these two end points indicate the same physiological state. In their benchmark work often cited in physiological literature, Douglas and Haldane demonstrated that the apnoea following hyperventilation was solely caused by lack of carbon dioxide, with the threshold concentration about 36 mm Hg in the alveolar or arterial blood.6 Their work thus defined two end points, central apnoea and arterial or alveolar carbon dioxide concentration, either of which can indicate hyperventilation. Using central apnoea as an end point which can be defined as cessation of breathing in expiration, it is possible to identify hyperventilation by monitoring breathing movements alone. In this case hyperventilation is indicated by increased amplitude and rate of breathing movement, which leads directly to cessation of breathing in expiration, as shown in fig 1. When breathing movement is continuously monitored the average rate and amplitude of movement can be determined for an individual, making it possible to identify other disturbances of rhythm in addition to hyperventilation. Without such continuous and non-invasive monitoring of breathing movement, hyperventilation may be missed or diagnosed in error and more subtle associated rhythm disturbances of clinical significance may be overlooked. Record of breathing movements showing hyperventilation. There was increase in amplitude and rate of breathing from 20 seconds ending in expiration at 80 seconds to mark the beginning of a central apnoea. This was followed by gradual expansion of the chest during the cessation of breathing (80–120 seconds). Richter and colleagues have proposed an alternative hypothesis to explain the origin of breathing rhythm,9 proposing a model of an inhibitory network involving six distinct groups of respiratory neurones. Reciprocal inhibition between two groups of neurones, which they named early inspiratory and postinspiratory neurones, constitutes the primary mechanism of rhythm generation. Like two children on a seesaw, each subjected to the same gravitational pull, these two primary rhythm generators are both driven by the reticular activating system of the brain stem. The other four groups of respiratory neurones have mainly modulatory roles but are still essential in rhythmogenesis according to this model.10 The six groups of respiratory neurones in the Richter model are classified according to their electrical activity in relation to phrenic nerve activity during breathing. They are therefore named pre-inspiratory, early inspiratory, ramp or sometimes “throughout” inspiratory, late inspiratory, postinspiratory, and expiratory groups of neurones in their firing order during one breathing cycle. Paton and Richter have also shown that receptors for inhibitory neurotransmitters such as glycine or γ aminobutyric acid (GABA), which are essential for the model to work, are lacking in premature or neonatal mammals, but develop with maturity.11 This is a likely explanation for the observation that premature or neonatal mammals depend on pacemaker activity of their respiratory neurones while their inhibitory network is immature. An inhibitory network of these six groups of neurones can explain normal breathing rhythm in mature mammals, hypoxic apnoea, apneusis, postinspiratory apnoea, and rapid shallow breathing.10 It cannot, however, explain some of the observed changes in breathing rhythms caused by stimulation of trigeminal, glossopharyngeal, or vagal afferent nerves.9 The Richter model suggests that rapid shallow breathing is caused by inhibition of expiratory neurones shortening the breathing cycle and increasing the rate of breathing. This means that expiration is entirely passive during rapid shallow breathing and, although the rate is fast, the depth is insufficient to reduce alveolar carbon dioxide concentration. The model thus cannot explain the neurological basis of hyperventilation. The Glasgow based peripheral nerve and autonomic unit has assessed over 50 Rett syndrome cases with controls of similar age. The autonomic measures used were developed by Julu and colleagues21 22and combined with those previously employed by Southall, Kerr and colleagues19 20 to permit one hour, videotaped, non-invasive, synchronised and computerised autonomic and respiratory recordings. The following observations from these studies are relevant to this discussion. Epileptogenic activity when present did not correlate with the hyperventilation. Both the pathological hyperventilation in Rett syndrome and the voluntary hyperventilation in control girls were associated with agitation and autonomic stimulation. In both Rett syndrome and control cases, during the initiation of hyperventilation, cold extremities and increase in blood pressure and heart rate indicated activation of the sympathetic vasoconstrictors and cardioaccelerators which are situated in the rostral part of ventrolateral medulla.22 At the same time there was parasympathetic activation in the caudal part of the ventrolateral medulla, shown by an increase in cardiac vagal tone, which rose to check and control the increase in both heart rate and blood pressure.22 In controls the rise in cardiac vagal tone was adequate, achieving smooth regulation of heart rate and blood pressure, whereas such parasympathetic damping effect was lacking in Rett syndrome leading to excessive swings of blood pressure and heart rate during hyperventilation.22 The autonomic responses to hyperventilation suggest that both rostral and caudal ventrolateral medulla are simultaneously activated during the initiation process; this is true for controls as well as for Rett syndrome cases. It is not certain whether this medullary activation is achieved by excitation of neurones or by disinhibition (withdrawal of a tonic inhibition). Second and third order respiratory neurones, including those suspected to be rhythm generators, are arranged in a rostrocaudal chain in the ventrolateral medulla intermixed with the autonomic neurones.26 Simultaneous and continuous monitoring of breathing movement and autonomic tone has enabled us to observe an increase of autonomic activity synchronous with the increase in breathing rate and amplitude during both voluntary (control) and pathological (Rett) hyperventilation.22 Therefore, we can now state that there is a generalised activation of the ventrolateral medulla during hyperventilation, although the origin of this activation is beyond the scope of our studies. The unstable respiratory rhythm in Rett syndrome associated with a very low cardiac vagal tone at neonatal level is suggestive of an immature brain stem, capable of generating some normal rhythm but unable to sustain it for long. The hyperventilation seen in Rett syndrome may be caused by lack of inhibitory control of respiration, in which serotoninergic function is evidently subnormal. Viewed from the aspect of autonomic control, the immaturity is a probable cause of sympatho-parasympathetic disproportion, as well as of the dysfunction of the respiratory neurones, particularly rhythmogenesis. In the course of mammalian development, it appears that the excitatory system, represented by the sympathetic, is more robust than the more sophisticated, later developing, inhibitory system represented by some parasympathetic functions like that of cardiac vagal tone. This has been demonstrated recently in rodents through observations of respiratory control.27 There is reason to suspect that both the agitation and the hyperventilation are caused by subnormal integrative inhibition which is the manifestation of immaturity in the Rett brain stem. The lack of inhibition might also be responsible for the lowered seizure threshold in Rett syndrome. Brain stem neurotransmitters including serotonin play a major part in the early growth of the neocortex.28 A brain stem defect might be expected to lead to faulty interconnectivity of the higher centres in addition to later autonomic incompetence. It is probable that brain stem immaturity with subnormal serotoninergic function plays a role in other early developmental disorders, especially those associated with hyperventilation and other breathing dysrhythmias. This aspect of developmental disorder deserves closer consideration than it has yet received. The improved physiological methods used in this investigation are now available for non-invasive and objective assessment of brain stem function. They will contribute to improving measures of breathing dysrhythmia and have the advantage of being well tolerated by profoundly disabled subjects. This methodology can be of value for investigating both developmental and acquired disorders of the brain stem. A combination of physiological measures, imaging, and morphological methods should now bring a more objective approach to the disorders of mood and the mind. (1982) Joubert-Boltshauser syndrome with polydactyly in siblings. J Neurol Neurosurg Psychiatry 45:37–39. (1965) Cerebral effects of hyperventilation in man. Arch Neurol 12:410–423. (1996) Repolarisation abnormalities with prolonged hyperventilation in apparently healthy subjects: incidence, mechanisms and affecting factors. Eur Heart J 17:1432–1437. (1986) Definition of hyperventilation syndrome. Bull Eur Physiopathol Respir 22:201–205. (1993) Carbon dioxide hypersensitivity, hyperventilation and panic disorder. Am J Psychiatry 150:1149–1157. (1982) Respiration. in Samson Wright’s applied physiology. eds Keele CA, Neil E, Joels N (Oxford University Press, Oxford), pp 155–217. (1997) Breathing. in The lower brainstem and bodily homeostasis. ed Blessing WW (Oxford University Press, Oxford), pp 101–164. (1991) PreBotzinger complex: a brainstem region that may generate respiratory rhythm in mamals. Science 254:726–729. (1992) Mechanisms of respiratory rhythm generation and its modulation by neural control. Curr Opin Neurobiol 2:788–793. (1996) Neural regulation of respiration: rhythmogenesis and afferent control. in Comprehensive human physiology. ed Windhorst GU (Springer-Verlag, Berlin), 2:2079–2095. (1995) Role of fast inhibitory synaptic mechanisms in respiratory rhythm generation in the maturing mouse. J Physiol 484:505–521. (1997) Treatment of apneustic respiratory disturbance with a serotonin receptor agonist. J Pediatr 130:47–54. (1994) Serotonin 1A receptor activation suppresses respiratory apneusis in the cat. Neurosci Let 172:59–62. (1990) Neurogenesis, control and functional significance of gasping. J Appl Physiol 68:1305–1315. (1992) Rett syndrome British longditudinal study (1982–1990) and 1990 survey. in Mental retardation and medical care, April 21–24 1991. ed Roosendaal JJ (Zeist, Uitgeverij Kerckbosch), pp 143–145, , ISBN 9067201219..
(1995) The neuropathology of Rett syndrome: overview 1994. Neuropediatrics 26:100–104. (1998) Preliminary studies demonstrating increased (3H) lysergic acid diethylamide ((3H) LSD) binding to serotonin receptors in selected nuclei of the brain stem in Rett syndrome [abstract]. Engerström, Kerr A. Workshop on autonomic function in Rett syndrome. Swedish Rett Center, Frösön, Sweden, May 1988. Brain Dev 20:324. (1966) Uber ein eigenartiges hirnatrophisches Syndrome bei hyperammonamie im Kindsalter. Wien Med Wochenschr 116:723–726. (1988) Hyperventilation in the awake state potentially treatable component of Rett syndrome. Arch Dis Child 63:1039–1048. (1990) Correlation of electroencephalogram, respiration and movement in the Rett syndrome. Brain Dev 12:61–68. (1992) A linear scale for measuring vagal tone in man. J Auton Pharmacol 12:109–115. (1997) Functional evidence of brain stem immaturity in Rett syndrome. Eur Child Adolesc Psychiatry 6 (suppl 1) 47–54. (1998) Results from autonomic assessments during the workshop [absract]. Engerström, Kerr A. Workshop on autonomic function in Rett syndrome. Swedish Rett Center, Frösön, Sweden, May 1988. Brain Dev 20:323. (1998) Cardio-respiratory instability in Rett syndrome suggests medullary serotononergic dysfunction [abstract]. Engerström, Kerr A. Workshop on autonomic function in Rett syndrome. Swedish Rett Center, Frösön, Sweden, May 1988. Brain Dev 20:324. (1998) Serotonin and breathing dysrhythmia in Rett syndrome. in New developments in child neurology. ed Perat MV (Monduzzi Editore, Bologna), pp 191–195. (1994) Brain stem network controlling descending drive to phrenic motoneurons in rat. J Comp Anat 347:64–86. (1998) Brain derived neurotrophic factor is required for normal development of the central respiratory rhythm in mice. 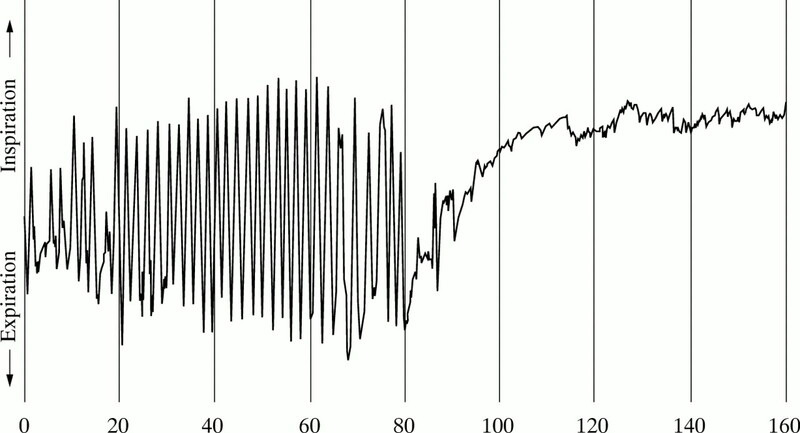 J Physiol 510:527–533. (1991) The development of descending brain stem control of spinal cord sensory processing. in The fetal and neonatal brain stem developmental and clinical issues. ed Hanson MA (Cambridge University Press, Cambridge), pp 127–136.